Dear persons of great patience, we had a profoundly productive period across the Pacific in Paris where we passionately presented our Press Proofs and Patreon page with pride! Wow, that's a lot of "P" words! Well, we've had a very busy month finalizing all details of printing with Mark Vierra. The process of getting press proof copies for Paris Comic Con was strife with setbacks and many issues, sadly. Although I am told this is very common, the print shop had massive delays which we are still trying to sort out. Because of this, we don't have a solid ship date. Luckily, I was told yesterday that the interior pages of the book are all printed and sewn, bookplates will be done tomorrow, and we are now waiting on covers and posters/prints. This is great news and as soon as I get a solid ship date, I will let you all know! Regardless, and this is the most important, Mark and his team did a WONDERFUL job on the actual books despite their delays, and David and I are thrilled to be able to present them to you! They are, in and of themselves, truly a work of art! Also, Paris Comic Con was a BLAST! And, yes, I know France is not technically across the Pacific... But that does not start with a P, so, look at some more cool pictures of us presenting The Last Amazon at Paris Comic Con! As you can see, Paula (David's wife) and I are sporting official The Last Amazon cosplay suits designed by our very own David Granjo and printed and constructed by our good friends at Aesthetic Cosplay. The Cosplay suits came out really well and if any of you fellow cosplayers want to snag one, PM me for pricing. They are really epic! We will eventually have 4 color options on our website: green, blue, red, and grey, each with a different pattern and damage design so you can show off your inner Amazon! So cool! It was a long trip (and I caught a cold!) but we had a truly wonderful time promoting Last Amazon in Paris. People really enjoyed the book and I know you all will feel the same. We have put so much heart and love into this epic graphic novel, and when you hold it in your hands, I know you will feel how passionate we are about this project and our growing studio! With our creative work on The Last Amazon completed, we are now in the same boat as all of you and must patiently wait for the printer to finish production. In the meantime, however, David, Carlos, and I have been hard at work on our next epic graphic novel entitled Shadow of the Moon. To learn more about that awesome book and our growing studio, please visit our Patreon page by clicking here. While you are there hit us up with a "follow" or even better yet, become our patron! 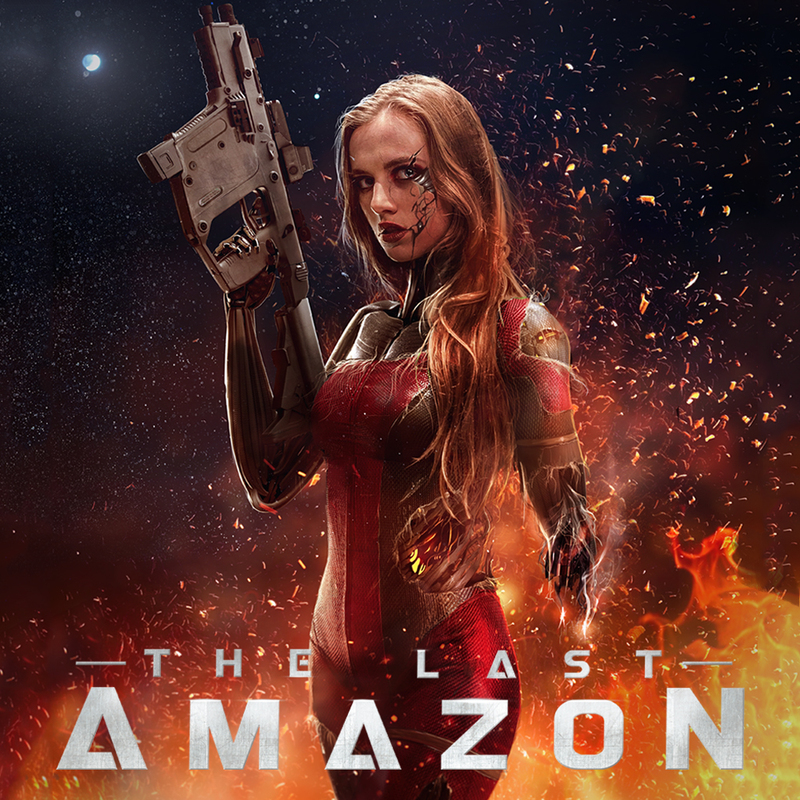 Again to all supporters of The Last Amazon, whether you were first, last, or anywhere in between, you wonderful Amazons allowed this all to happen and for that, we are eternally grateful! Thank you! TLA's First Review and Interview!